So if you are like me and own over 100 nail polishes, the odds are I’m not going to finish all those bottles before they go bad. Some may say I’m a hoarder, others may think I’m just polish obsessed. Regardless of what you think, let’s be honest here, most of the polishes I own have only been used one or two times. I don’t think I have ever finished a full bottle of nail polish before it went bad, which I’m sure is a common issue for a lot of people. Well my friends, the folks at Sephora came up with a genius idea of preventing nail polish from going bad. 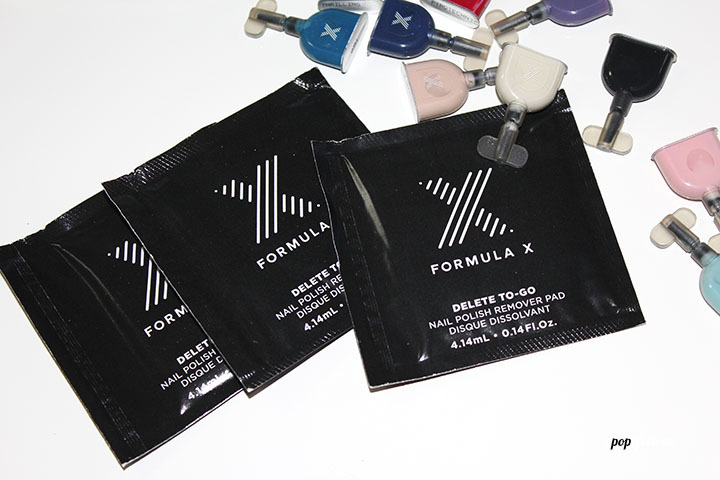 Enter the Formula X Press Pods, a portable polish pod that has just enough product to paint all 10 fingers with two coats. No more wasted polish bottles! Want to try an array of colours? 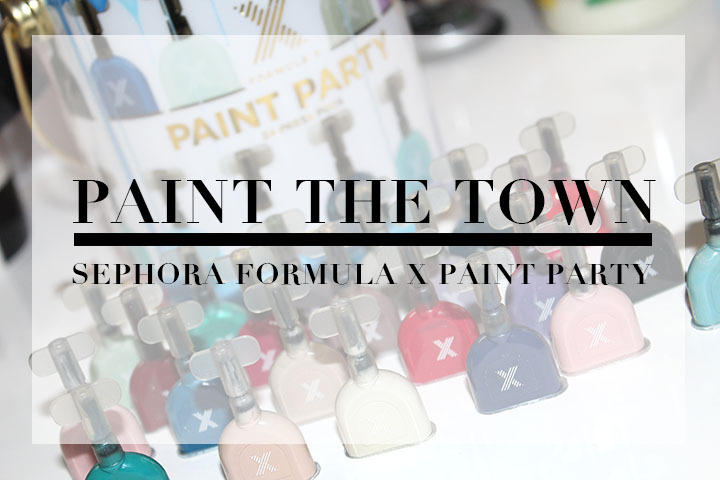 Well, for this holiday season, the beauty mecca has released the Formula X Paint Party, a little paint bucket filled with 24 press pods and three of their Delete-To-Go nail polish remover pads. Genius! Comprised of Formula X’s best creams and pearls, there is a colour for everyone, and enough to share with all your besties. Simple twist the cap to open, roll bristles between your fingers to prep brush, then turn pod upside down and press firmly until the polish fills the brush. Dot the first drop of polish on the centre of the nail and continue painting down the middle of the nail and along the sides. Once you are done, just toss the pod. I think this is a great idea and makes a perfect gift. Why guess what shade would look good on you when you can have 24 options? Find a perfect match? Just remember the name of the polish (it’s printed on the bottom) and then buy the full size if you think you would wear it lots. Kudos Sephora on this little invention!